I’ve had a passion for environmental issues since I was young. When I graduated from college I thought I wanted to go the policy route so became an Urban Planner, but then I was lucky enough to attend the International School for Geo_Information Science and Earth Observation in the Netherlands for 2 years and discovered that I really loved looking at Earth from space. When I returned from the Netherlands I got a job at NASA Ames Research Center in the Earth Science Division and decided that’s what I wanted to do. So many things. I primarily work in Applied Sciences which means that I help transfer NASA Earth Science data and technology to federal, state, tribal and international organizations to enhance their decision support. I really enjoy teaching organizations and individuals about NASA remote sensing and learning more about what those organizations do. This job is not only about learning and teaching NASA Earth Science data and technology but it’s also about developing relationships with potential users of the technology. I’ve worked in many different areas from mapping vineyard health to monitoring vector borne diseases. I have been able to travel to many interesting places including many different states and countries including Kenya and Italy. I also love mentoring students. I have been lucky enough to be the science mentor for the NASA DEVELOP internship program for 12 years, plus involved with mentoring Native American students as well. Being a science mentor is extremely rewarding especially when those students continue to work in Earth science. One of the most difficult moments of my career was when NASA unexpectedly pulled the funding from 2 multi-year projects of mine after one year due to funding cuts. I was left with almost no funding and had to figure out what to do. I considered going back to school to get a Masters degree in Education but a colleague convinced me that I should pursue my dream of getting a PhD in a science field. That decision has changed my life in so many ways. Not only did it enable me to learn about the latest research in the field but it also gave me additional self-confidence. I am lucky enough to currently be working as an Associate Program manager for NASA Headquarters in large part because of this path I chose to take. I don’t think there has been any one person who has had the biggest influence on my life. My influences come from many different places in time and space, from my dad and my husband who have the most positive energy and outlook on life, to my co-workers who I can always go to for advice. I have loved Earth Science since I was a little girl. I was the only little girl in my class that loved changing cloud patterns, thunderstorms, and lightning. I love that my job gives me the opportunity to explain all sorts of interesting science results and phenomenon. The Star Wars movies and NASA’s Apollo Program! Now, I work at NASA’s Scientific Visualization Studio. 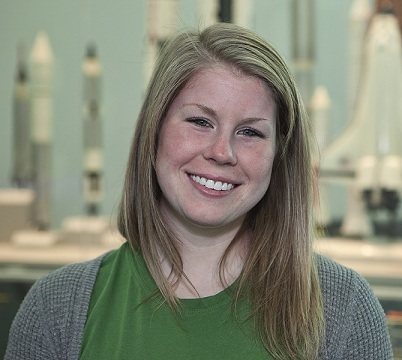 I started at NASA working as a student writing fortran code in a data processing facility that aimed to provide error-free telemetry transmissions from spacecraft to the ground. On my first day, I remember all of my coworkers speaking in acronyms. I didn’t know what the acronyms meant. Don’t be afraid to ask questions and don’t be afraid to throw out an idea that might seem crazy. I worked on a piece that won the National Science Foundation’s Visualization of the Year. It is a wonderful piece that explains the important connection between the sun and our Earth. Early in my career, I had to choose a technology to use as the core of my software system. I made the best choice at the time, but 6 months later, I realized that my choice was causing larger system errors. I thought my supervisors and project leads would be furious that I needed to change the system to simplify the design. I asked to explain my problem and proposed solution, and they supported me. I learned that at the beginning of a project nobody understands all of the issues. research. It is a privilege to play a small part on this team. 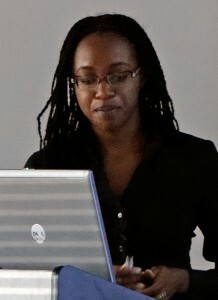 I completed my Master’s Degree in Computer Science/Telecommunication because I wanted to work in the Space Network to ensure all telemetry would be downloaded efficiently and error-free. That work gave me an opportunity to showcase the science data. I never thought that I would have so many opportunities. Everybody faces barriers. I worked in one three-story building that only had one woman’s bathroom. If that bathroom was out of service, I would have to go to another building. Things have changed now! I am optimistic! Remote Sensing information comes from many sources like satellites, balloons, aircrafts, and computer simulations. 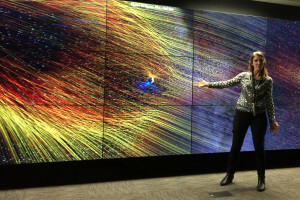 Data visualizers combine different information collected from different sources to highlight the diverse work of NASA’s scientific community. The data is getting exponentially larger so visualizing it is becoming more important. figure out solutions to problems that seem impossible at first. 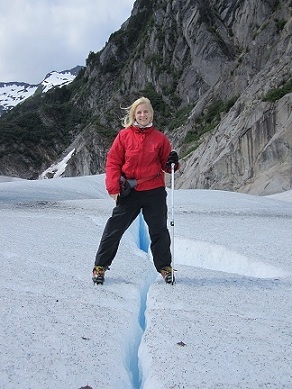 For the past few years, we have been celebrating Female Geoscientists Day and Earth Science Week by bringing you a few stories on some of the women who contribute to learning about our wonderful home-Mother Earth. 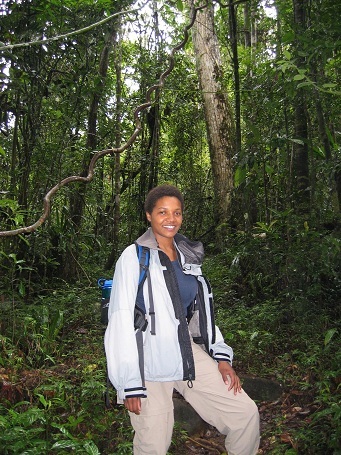 Today, we would like to introduce to you a wonderful physical scientist, Yolanda Roberts. 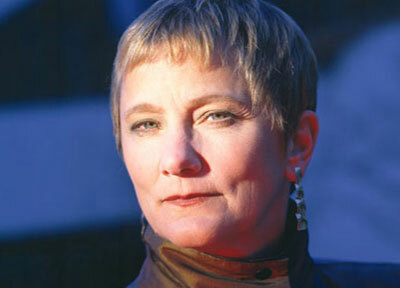 We hope you learn a bit from Dr. Roberts and feel the same inspiration we did when we interviewed her! To learn more about the celebration, click here or here in Spanish. My family moved to Virginia from New England when I was 10, and every summer, I was afraid of the thunderstorms that would roll through. Concerned that the thunderstorms would spawn tornadoes, I kept The Weather Channel on all day. Eventually I became interested in the weather happening all over the country, how meteorologists on TV talked about it, and the meaning of all the cool weather maps. My curiosity was piqued! I wanted to know more about how meteorologists did their job, which led to my exploring other areas of atmospheric science. I get excited when I talk to colleagues about what I do because it helps me to hear about the relevance of my work. I am encouraged by positive (and constructive critical) feedback from interested scientists, especially mid- to late-career scientists who have a solid big picture of the important questions within my field. The summer after my junior year of college, I had an internship at Lockheed Martin Corporation. My first assignment was to work with the algorithm that determined ocean currents from satellite measurements. Although I had learned about Earth remote sensing in class, this was my first taste of working with and understanding the details of how a physical variable was determined from satellite measurements. I was fascinated that scientists had discovered a way to map ocean currents from space! This fascination encouraged me to learn about what other physical variables in Earth’s climate system we can learn about using satellite measurements. Even though I understand the details of some of these algorithms now, I still find it amazing that we can learn so much about our physical world from satellite measurements. 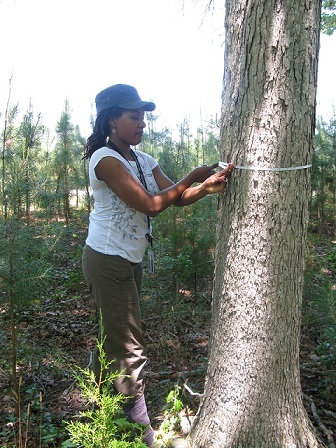 I am a physical research scientist in the Science Directorate at the NASA Langley Research Center. I was nervous and excited on my first day of work! Before I started working at Langley, I had the opportunity to work with and get to know some of my new colleagues since we were working on the same project together. Because of this, I already knew many of my new colleagues on my first day, and it was great to be welcomed into my new working environment by people I already knew and respected. One of my main research interests focuses on what we can learn from Earth-reflected sunlight about how and why Earth’s climate is changing. Different regions of the Earth have been changing in a variety of ways. I have been interested in overlaying my results on maps of the Earth so that I can learn about how regional changes of physical variables in different regions (e.g. clouds over the ocean or over land, vegetation in the Amazon, sea ice extent in the Arctic, etc.) have been changing over time and are manifested in measurements of reflected sunlight. Find what you love and stick to it! Even what you love to do isn’t always fun or easy at every single moment, so if that foundation is there, even during the more difficult moments you can remind yourself why you’re enduring the temporary struggle. I think I would say completing my PhD! I had to motivate myself with reminders that this degree was something I wanted, that I genuinely cared about the work I was doing, and that my work was a valuable new addition to my field. I hope to continue to use what I added to the my field’s knowledge base in the process of finishing my PhD by continuing to expand on how we use satellite measurements of reflected sunlight to study climate change. I don’t know if I can think of a single difficult moment in my career, but I’m typically very hard on myself, particularly when preparing for times when I know I’ll be evaluated. This includes submitting reports or proposals, holding status update meetings, and preparing presentations. During these times, I have found it most helpful to get feedback from external sources such as my colleagues and mentors. The feedback they give me is much more realistic and objective than the particularly harsh criticism I often give myself. Relying more on this external feedback has helped me to evaluate myself a bit more realistically when I’m especially stressed. I have had the honor of crossing paths with many wonderful people from whom I’ve learned several invaluable lessons, but one of the first and most significant influences on my life was my maternal grandfather. He taught me how to read and how to do basic arithmetic at a very young age. He also taught me how to ride a bike, which led to my learning another life lesson from him: “No pain, no gain!” I think I can attribute my tenacity in solving problems to him. He wouldn’t let me give up on tasks and encouraged me to set my mind to them. Even though I always knew that I wanted to do something related to the atmosphere, for a long time, I didn’t have a clear idea of what I wanted to do. Finally, after having some experience doing research in graduate school, I realized that research would be fun and a good fit for me, so I started looking for positions in that vein. I didn’t just expect, however, that I would end up here at NASA Langley! It was a pleasant surprise that there was a good place for me to fit in here. I don’t think I’ve encountered any serious gender barriers. Women are certainly a minority in atmospheric science, and I often realize that I’m either the only woman or one of a mere handful of women in the room. I do appreciate the strong, successful women that I have encountered in my field thus far and the support that I have gotten from them. Whether you encounter gender barriers or not, I would recommend seeking out the community, friendship, and mentorship of the strong women around you so you have the support you need when difficult situations arise. At this point, I haven’t been a NASA a year yet, but I think there are great opportunities here for me to grow as a scientist and leader in my field, and that there are ways that I can contribute to our knowledge base in atmospheric and climate science. Since those are some of my life-long career goals, I hope my future includes continuing to work for NASA for a large chunk of my career (at least!). Learn how to take criticism well! It can be hard to hear critical comments about yourself and your work, but find mentors and colleagues who can deliver direct, constructive criticism without breaking your spirit. Then learn how to use that information to further improve your skills. This has served me well thus far, and I intend to continue to hone this skill of receiving criticism well and using it for my benefit (and ultimately the benefit of others). Any other advice you would like to leave us with? Always work hard and try your best regardless of what you do, but remember not to isolate yourself! Yes, it is important to commit yourself to your passions at work, but find other activities outside of work that you enjoy as well. Your brain will thank you for the break and change of pace, and it will likely serve you well in the workplace too! 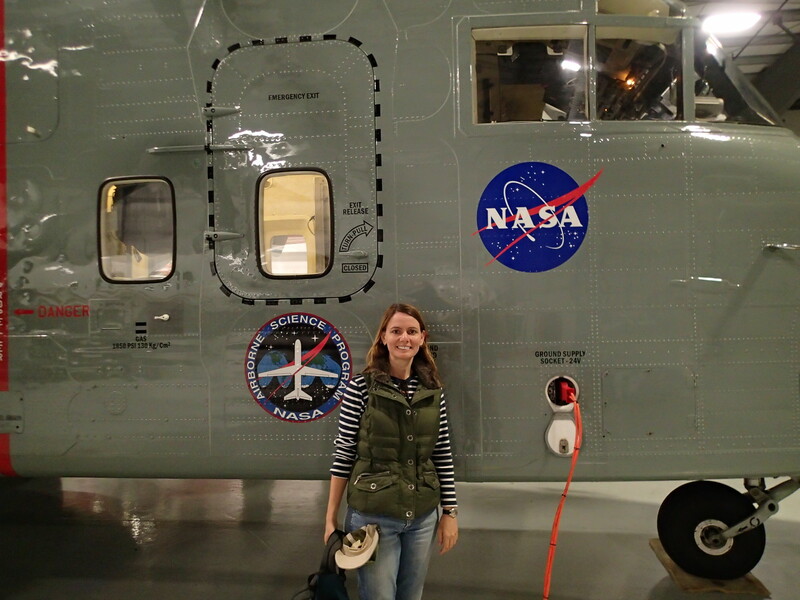 In continuing our celebration of Earth science week, we would like to introduce you to Michelle Gierach, a project scientist for the Physical Oceanography Distributed Data Archive Center (PO.DAAC) and ocean scientist at NASA Jet Propulsion Laboratory (JPL). We hope you enjoy her interview and maybe find your own passion along the way! 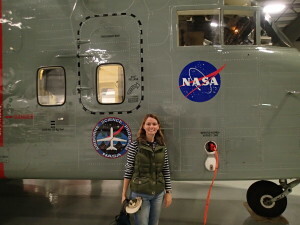 To read more stories and learn more about Earth science week at NASA, visit http://women.nasa.gov/earthexplorers. I work at NASA’s Jet Propulsion Laboratory (JPL). I was a slew of emotions on my first day, being thrilled and anxious at the same time. I was honored to have been given a position at JPL since they and NASA are known world-wide for their scientific endeavors; however, at the same time I was worried that my scientific interests and research would not stack up to their level of excellence. This latter sentiment has since faded and has been replaced by a sense to succeed as a representative of NASA and JPL. I grew up in Florida and witnessed first hand the destruction caused by hurricanes. My grandmother went through Hurricane Andrew in 1992 when it made landfall in Homestead, Florida as a category 5 hurricane. Seeing the destruction caused by the natural phenomenon intrigued me. How it is possible that a natural event can propel 2×4’s through a palm tree? From that point I knew I wanted to be an earth scientist. I get to explore the earth system and my own curiosity through satellites. Satellites provide us with a global view of what is happening in our earth system at present and gives us an indication on how the system has changed over time. One of the most rewarding aspects of my job is the education and outreach component, wherein I get to communicate science results from satellites to the public. It is our responsibility as scientists to convey what we have learned, how it is relevant to society, and why it is important to continue the satellite record. To not doubt your abilities and rise to the challenge when presented with opportunities that offer a chance to learn something new. To be true to yourself and your scientific beliefs. One of the biggest challengers I have faced is public disbelief in science results from the satellite record. Satellites provide a global view of the earth system and we have been fortunate to have long-term monitoring through continuation of the satellite record. Skepticism of satellite results is upsetting, but makes me steadfast in my scientific convictions and further emphasizes the necessity to communicate with the public. There is no one person that influenced my life, more so it has been an accumulation of people throughout my life from my family, grade school teachers, college professors, and work colleagues. Along the way each has taught me to be true to my abilities and myself and not cower to new challenges and opportunities. I do not feel I have had to overcome gender barriers as my career has developed. Though that is not to say that they do not exist. 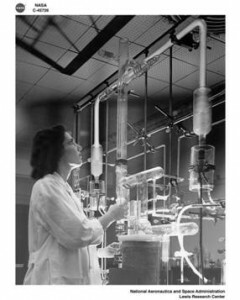 The science profession has primarily been a male-dominated field; however, amazing women have been paving the way for female junior scientists like myself. 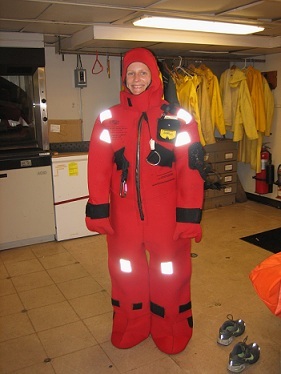 We now have programs that encourage and mentor young women in science to increase retention, such as MPOWIR (Mentoring Physical Oceanography Women to Increase Retention). Progress is being made, but we still have a ways to go. Never stop asking questions and exploring your own curiosity. Today is female geoscientists day and in celebration, we would you to meet Lola Fatoyinbo from NASA Goddard Spaceflight Center. We hope you enjoy the last of the Earth science week stories we have for you and take away a nugget of inspiration. Let’s celebrate the beauty of our planet and the scientists who are finding ways to ensure the future can enjoy her beauty as have! To read more stories and learn more about Earth science week at NASA, visit http://women.nasa.gov/earthexplorers. I work at NASA Goddard Space Flight Center, and I have been here for almost 3 years. On my first day, I was nervous and hoped that I would be up to the tasks that I would have to do. I remember sitting in a meeting and being impressed by how smart and knowledgeable the people around me were. I lived in Benin and Ivory Coast in West Africa as a teenager where deforestation and pollution are rampant and mostly uncontrolled. I always found it heartbreaking to watch such beautiful places being destroyed. I was also very aware that this also directly affected all of us living there, but the largest effect was on the poor population who were drinking polluted water for instance. My parents also fueled my passion for exploration. They were avid travelers and even drove from Nigeria to Germany in a Volkswagen bus! We often did road trips through various West African Countries, and they would tell me how important it was to preserve our environment. Seeing so many different places also made me appreciate them. I love travelling to new places, whether in person or by looking at an image taken by a satellite. I can spend hours ‘exploring’ on Google earth! But I think what I enjoy the most about my job is coming up with new research projects for myself or for our student interns. There are so many questions to be answered and projects to develop and that’s what really gets me excited. Don’t always choose the easiest path. I always loved science, yet I did much better in languages and social studies in school. But I wanted to become a scientist and worked really hard to make it happen. 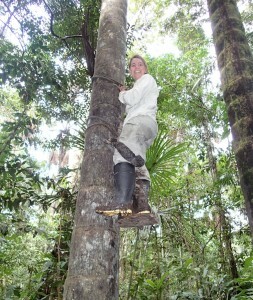 The most difficult moment for me was when I was doing fieldwork in a very remote tropical forest in Madagascar. 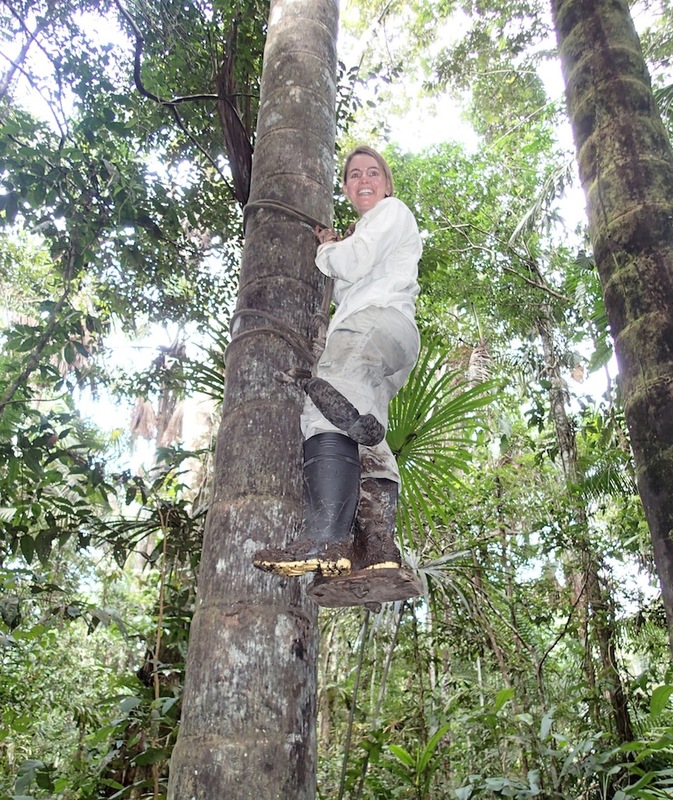 Here I was, doing what I had always dreamed on- exploring the rainforest, and it was nowhere near as glamorous as I had always thought of it. We were working long days, hiking 10 km everyday. It was cold, rainy, there were leeches inching up my pants, I kept falling on the trails, I was hungry and exhausted and missed my friends and family. I felt really bad for myself, then I remembered that I had wanted to have this opportunity since I was a little kid! In the end it was one of the greatest experiences of my life and I learned that you shouldn’t give up just because what you’re working on isn’t the way you imagined it would be. The biggest influence in my childhood and early adulthood was my parents. They always encouraged me to be a lifelong learner and not feel like I should have to fit into a particular box. My dad taught me make a career out of your hobby and my mother was and still is my biggest cheerleader. She is always encouraging and does everything to help me get my work done. She’s even come on work trips with me to babysit my kids! Throughout college and my professional life, my husband has been my greatest influence. He is the hardest working person I know so I have to keep up with him! As an African American woman, one is bound to encounter some sort of barrier or hurdle in a career. I chose not to pay them too much attention and just work as hard as I could and look forward. That being said, I know that the only reason I can do this is because many before me had to fight very hard for equality in the workplace. Nobody ever asked me to bring them coffee just because I was a woman, and I am very grateful to those who fought before me. Hard work is worth more than talent! Like I said, I was always much better at languages than science. But I wanted to have a career as a scientist so I stuck to it! But you don’t have to settle and in ways can “have it all”. I am proof as I now I speak 5 languages!